Friday is for love and beauty, hearts and heat. 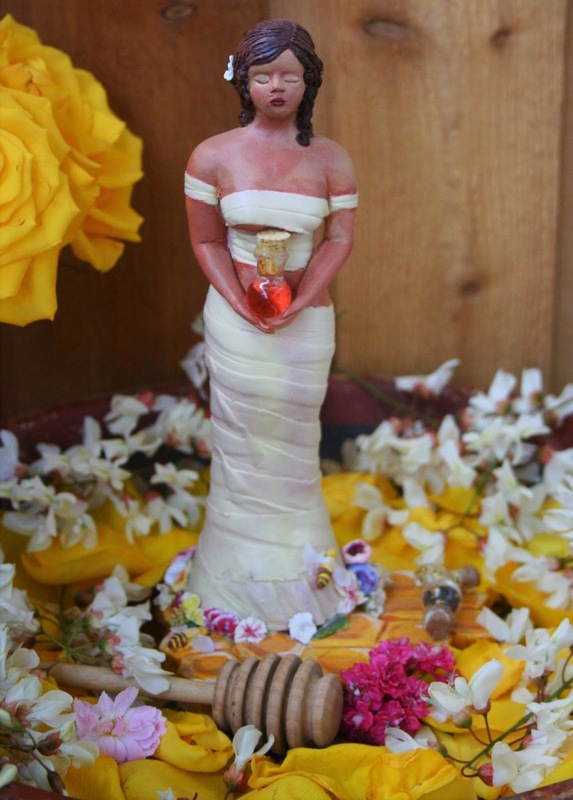 It is a sacred day of Venus, especially as the moon waxes. I've been collecting from the garden and drying the bundles of sweet scented herbs; working on growing my vetch and trefoil garden so that I get some solid roots for bind-work this fall; creating cacao-damiana-rose brandy infusion for upcoming rituals of Venus (using a recipe adapted from the local Rainbow Natural Remedies Aphrodisiacs classes). Most importantly, I've been gathering grief flowers and flowers of longing and beauty. I'm working through some losses and felt inspired to heal through working on new batches of strewing herb and floor wash powders. I feel this tremendous sadness at the state of some things and people around me, but on the other hand, I am deeply grateful for the love and support I get from others. One thing I'm learning every day at this age is that some times you have to let things go, even when you're afraid to. Sometimes, you just don't get what you want, and that is not a tragedy, it is a lesson in humanity. I spent some time on the island of Kauai a week ago and rediscovered the power of my dreams to come pass. It's amazing what the change in the seasons will do to the senses of a practitioner. My dreams, my readings, my senses altogether rise with the sun and right now, I'm almost a little afraid of seeing what lies beyond my eye. "Refusal", "You have broken my heart! 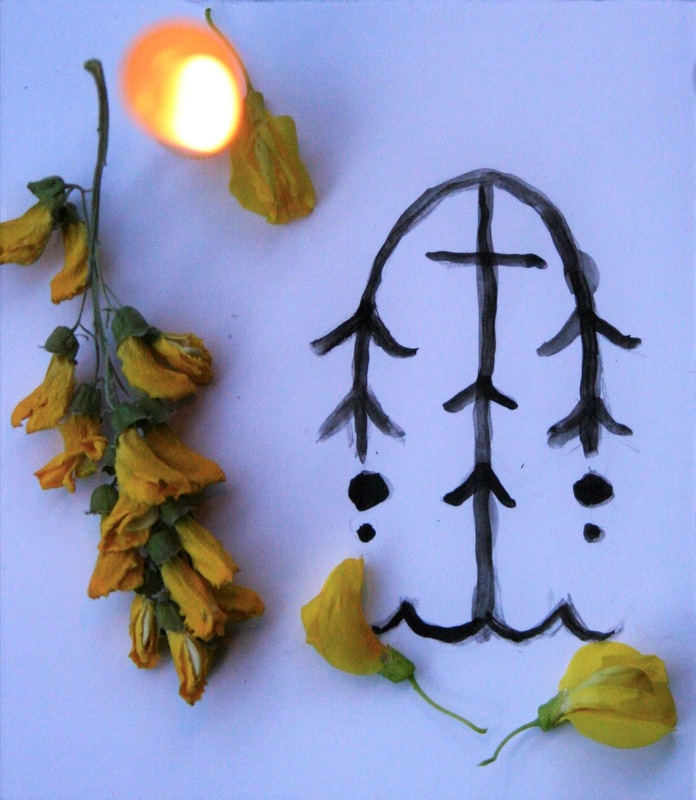 ", "Forsaken, pensive beauty" and "Golden rain"
The herb had a valuable use in break-up spells, in spells to release grief (or maybe even cause it) and are a funeral flower for those who died in romantic woe. These flowers honor the pain of rejection and the poisonous black seeds can be used to plant away rejection and pain when necessary. Though the entire plant is poisonous, she doesn't give off a deadly dangerous vibe. If anything,s he's quite sad, a flower of beautiful grief. They smell sweet in the sunshine and bring light to the world around them, along with a sense of ending. These beauties grow everywhere around here, including out in the wild wood. I saw plenty of them growing wild on Kauai too. 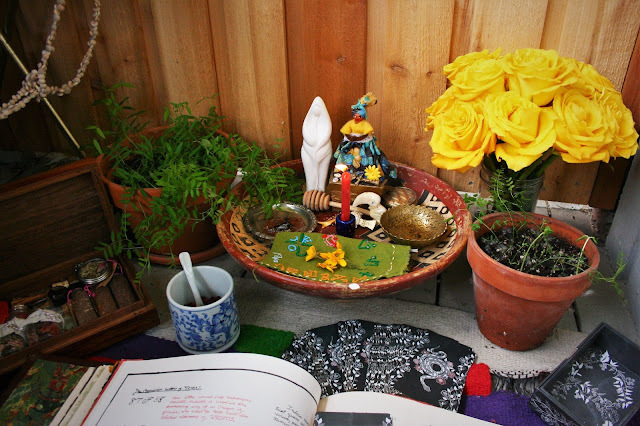 Place these flowers on altars to the sun and the ancestors during the Rites of Spring through the Summer Solstice. Offer these to the dead; honor those who have died in a state of grief. Mix these with other herbs that repel the sting of rejection and call to the star of Venus; herbs like lemon balm and bleeding heart, to banish a broken heart. 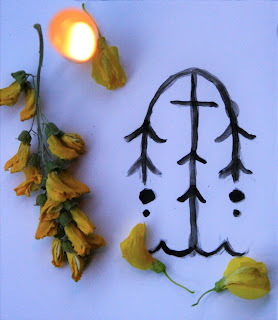 Plant the seeds from one pod every waning moon while thinking on your losses until no seeds remain- sometimes beautiful things can grow from the creativity found in our grief. She is sensitive and loyal, and will harm those who disrespect her. "Welcome, stranger", "Youthful beauty and poetry" and "Emblem of April"
A flower of communication, hand-fasting, friendship, beauty, peace and feminine grace. The wood makes a beautiful hilt for a sickle and the flowers when dried are best added to floor washes of welcoming especially for female babies and to porch-strewing herbs to welcome beauty and peace into a home of women. I don't have any wisteria in my mother's yard, but our neighbor has a massive hedge that hangs over the street up the road and is perfectly happy to see samples go. They were grown with lots of love, they protect the road. I like to wash them tenderly and place them fresh in baths along with different kinds of floral dew collected in the morning. 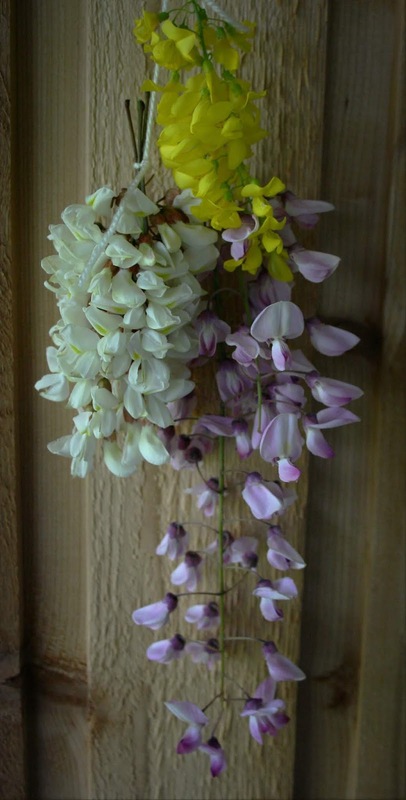 I enjoy the folklore of youth remedies and in my quintessentially Libra vanity, I admit to indulging in the practice of youth baths which include wisteria flower, wisteria essential oil, goats milk, powdered honey, sea-salt and the dew of periwinkles, pink roses, hawthorn and Dew-of-May. 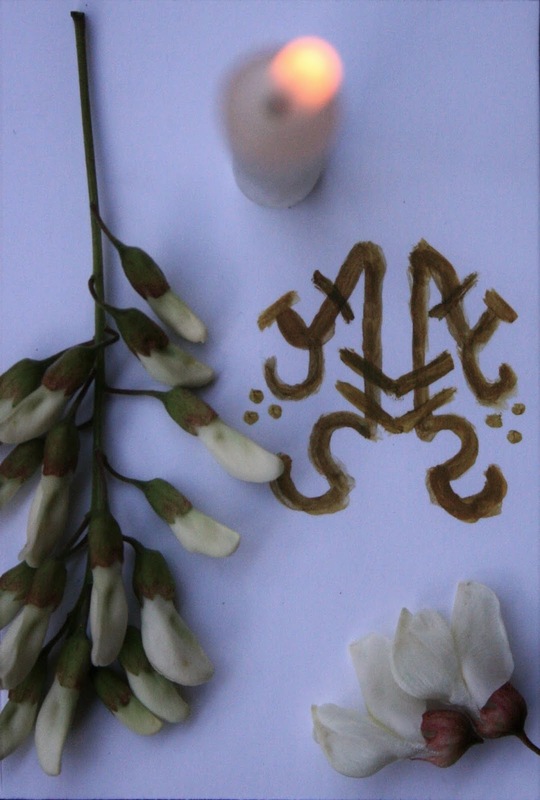 When it comes to the Black Locust, our relationship revolves around protection, bee-worship, fragrance, ancestral altars and funeral rites. The flowers are dried during the course of the waxing moon and then mixed into strewing herbs for circles to honor the messengers of the dead and to protect oneself from ill-health and harm during dark green rites. Along the Green River, these tall lovely trees swing heavy with phenomenally sweet profusions of thick, fluffy pea flowers. They sway in every breeze and as they fall in May they mix with the poplar fluff along the road sides and create an intoxicating, sexual scent as they bake in the sun. The bark runs in thick vertical lines with deep grooves with dark streaks that look as though the trees have been singed a bit. The pods cackle in the wind come late summer; its absolute music. 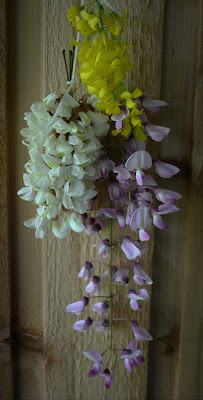 To be honest, it is far more fragrant than wisterias and goldenchain; they smell so sweet you just want to crush them in your hands and bathe in the smell. The thorns are best buried around the property facing outwards to guard the home from someone who would do you harm, especially if each thorn pierces a paper with the name or picture of one's enemies on it. A thorn-covered branch can be used in work to repel evil or deter an unwanted guest, mostly to protect oneself; think of the sharp end of the bee and how it protects itself with a sharp prick. I find knotting a red cord and winding the cord around the branch wards away the influences that were knotted into the thread after the branch is taken far away and buried pointing upwards to the sky.